New Zealand/United Kingdom's Barshasketh have returned with a new recording with the music going into more of a raw, melodic and atmospheric occult black metal direction and this is a review of their self titled album which will be released in 2019 by W.T.C Productions. A very dark, heavy and melodic sound starts off the album along with all of the musical instruments have a very powerful sound to them while the faster sections of the songs also use a great amount of tremolo picking and blast beats which also gives the songs more of a raw feeling. Vocals are mostly grim yet high pitched black metal screams while the music also brings in a great mixture of slow, mid paced and fast parts along with the solos and leads being done in a very melodic style as well as some of the tracks being very long and epic in length and the music also brings in a great mixture of both old school and modern influences. At times the album also has its atmospheric moments and as the recording progresses clean playing can also be heard on some of the tracks while the vocals also mix in a semi melodic tone in some parts of the music along with some synths and clean playing also being brought into the music briefly. On this recording Barshasketh plays a style of black metal that is very raw, melodic, atmospheric and modern sounding, the production sounds very professional while the lyrics are a concept album based upon the self existing in the cyclical process that goes through the phases of destruction, purification and the ultimate adversarial rebirth. 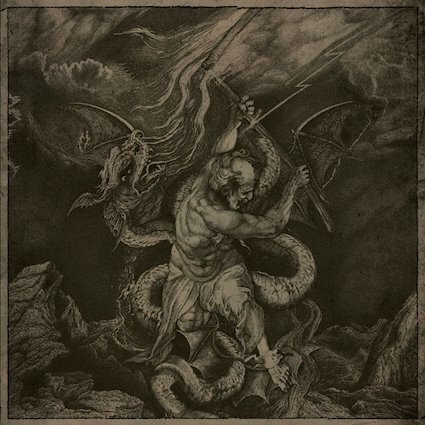 In my opinion this is another great sounding recording from Barshasketh and if you are a fan of occult black metal, you should check out this album. RECOMMENDED TRACKS INCLUDE "Vacillation" "Consciousness II" and "Recrudescene". 8/5 out of 10.